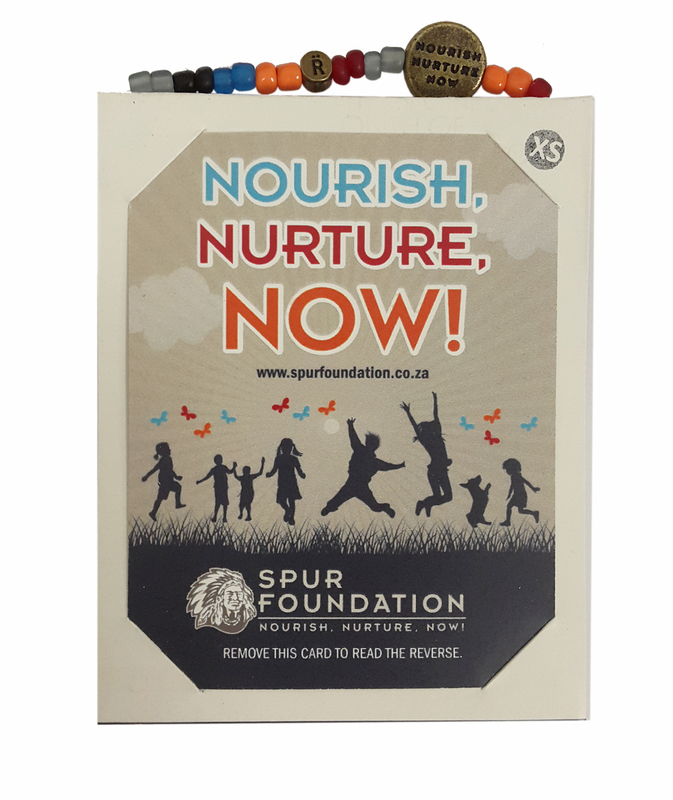 As we move towards International Mandela Day 2015 the Spur Foundation is asking 67 000 people to join hands with us on our mission and help us to do more for vulnerable communities and families across South Africa. 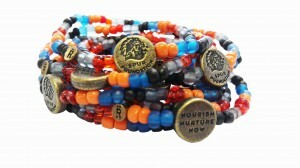 We’re asking 67 000 people to purchase a Spur Foundation Relate bracelet and help us raise an additional R750 000, all of which will be used to further support the beneficiaries of the Spur Foundation to help nourish and nurture those who need it most, and in so doing, make every day a Mandela Day. The Relate bracelets are beautifully handmade by elderly township communities, helping to build pride, a sense of hope and create opportunities for their families. Join the movement for change! Get your Spur Foundation Relate bracelet for only R30 from Spur Steak Ranches, Panarottis or John Dory’s restaurants from 2 June 2015, while stocks last. 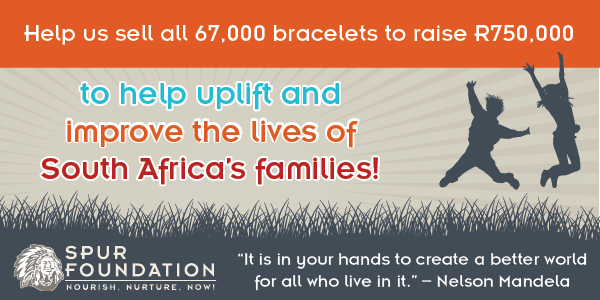 You can help change a child’s life!